“It is in the interests of justice to restore a defendant who acquired a criminal record due to a mental health disorder stemming from service in the United States military to the community of law abiding citizens.” Cal.Penal Code section 1170.9(h)(1). The above citation formalizes our state legislature’s acknowledgement that nearly two decades of war in Afghanistan and Iraq have resulted in many veterans of those wars returning home with service-related adjustment disorders and substance abuse problems, which often lead them to get into trouble with the law. For years, the root cause of their legal problems, i.e. their service-related illness, went unaddressed. Fortunately, in recent years, wisdom has prevailed and systems have been established in courthouses throughout the country to identify our veterans who are in need of alternative sentencing for the crimes they committed and match them with appropriate and effective services to treat their service-related issues so that they don’t get into trouble again. Most jurisdictions in California have dedicated criminal courts set up to handle cases involving defendants who fall into this category. These courts are staffed by judges specifically selected because of their training and experience to preside over military service-related cases, and probation officers and other support personnel with experience in matching participants with treatment programs tailored to help them understand and overcome the disorders which caused them to get into trouble. The treatment regimen contemplated and structured by these courts is intended to serve as an alternative to a jail sentence, although intentional, unexcused deviation from the treatment process often results in arrest and incarceration to deter future deviation. Criteria for acceptance into Veterans Treatment court is strict. First, eligibility is limited to those accused and convicted of felonies, not misdemeanors. Second, the potential participant must be eligible for probation. In other words, he or she cannot have committed a crime that automatically results in a state prison sentence, such as many sexual assault crimes. Third, the court must determine that the person was or is currently a member of the United States military and whether the defendant may be suffering from “sexual trauma, traumatic brain injury, post-traumatic stress disorder, substance abuse, or mental health problems as a result of his or her service.” If the court makes such a determination, the probationer is then connected with members of the court treatment team who determine what the most appropriate and effective terms of probation are. These often include counseling, drug and alcohol treatment, and anger management therapy. If the probationer substantially complies with probation, he or she is then considered for “restorative” relief. This means that the court may deem probation to have been successfully completed and either reduce the felony conviction to a misdemeanor, or dismiss the case, or both. Additionally the successful participant is no longer obligated to disclose the arrest or the conviction except in limited circumstances, and the court may also order records of the case sealed. The conviction can still be used to enhance a sentence handed down in any subsequent case resulting in a conviction against the defendant and will bar possession, custody, and ownership of firearms. However, the defendant need not disclose the fact of his arrest or conviction on any job applications or in interviews for employment, unless the application etc. are for law enforcement related employment. I had long wondered how, if at all, our courts would respond to the obvious and growing problem of service-related illnesses resulting in aberrant behavior by those who honorably and selflessly served our country. Veterans treatment is a positive sign that our justice system is aware of and is responding compassionately and effectively to the problem. In my practice, I consider it a privilege to help those that have sacrificed so much to preserve our freedom access innovative programs like Veterans treatment court to gain redemption and restoration to their families and communities. 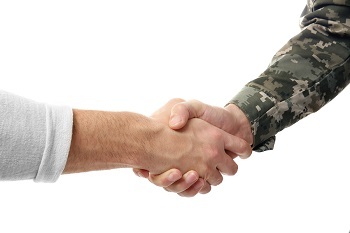 Read more in my latest post: Misdemeanor Diversion Relief for Military Veterans. Very interesting article. Thank you for educating us and aiding veterans in need.